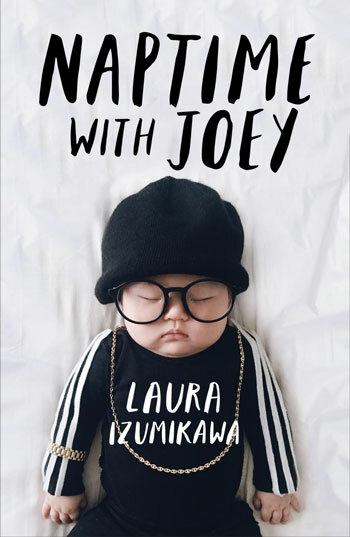 I love how curious Joey always is and how she loves to learn by touching and feeling things in her hands. She definitely doesn’t mind getting a little dirty. 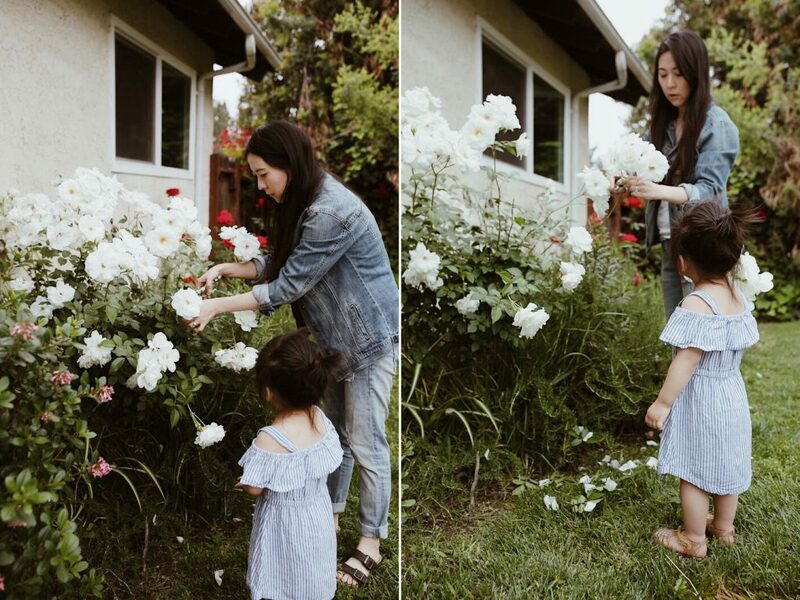 Lately however, she’s been picking flowers EVERYWHERE. Anytime she sees a nice vase of flowers, she’ll want to pick at it. At restaurants, she’ll see flower arrangements on the table and she’ll go nuts. 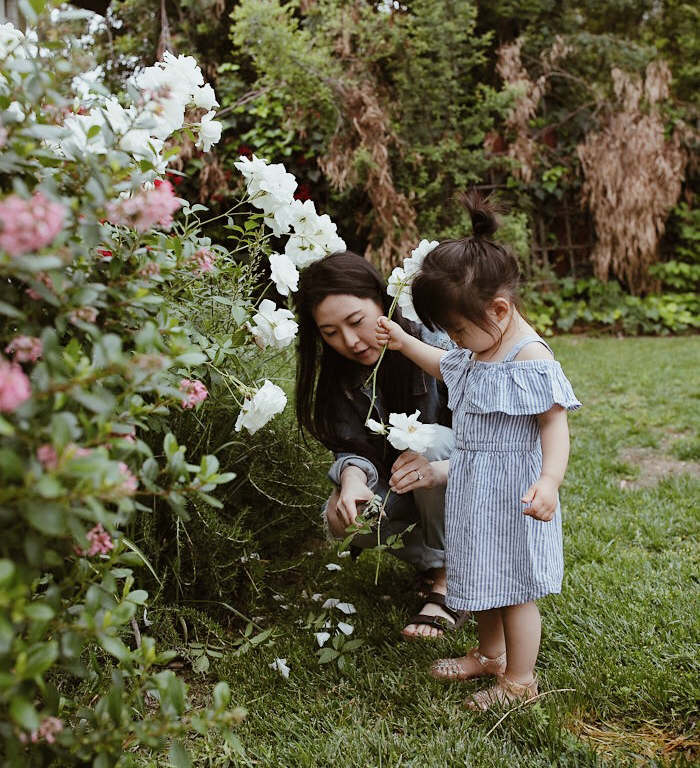 At her grandma’s house, she pulled out all of the blooms from my mom’s favorite faux flower arrangement. 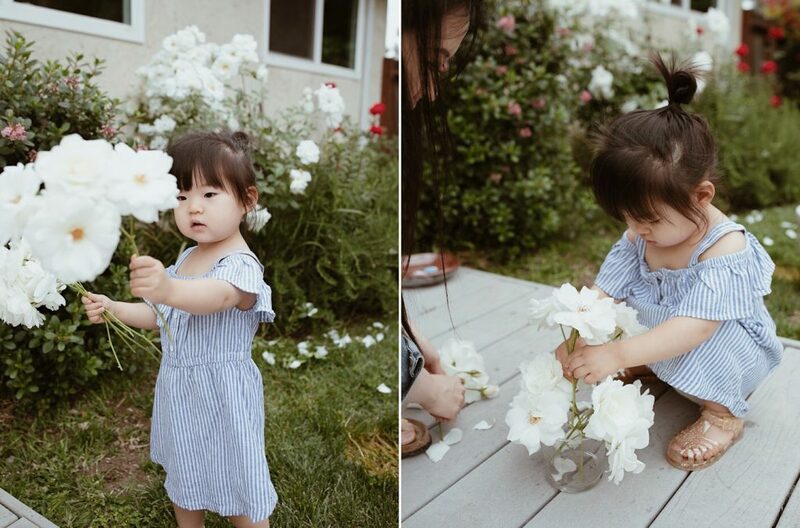 While it’s “cute” and all to pick flowers, I was starting to think she wasn’t understanding that flowers can also be enjoyed just by looking at them haha. 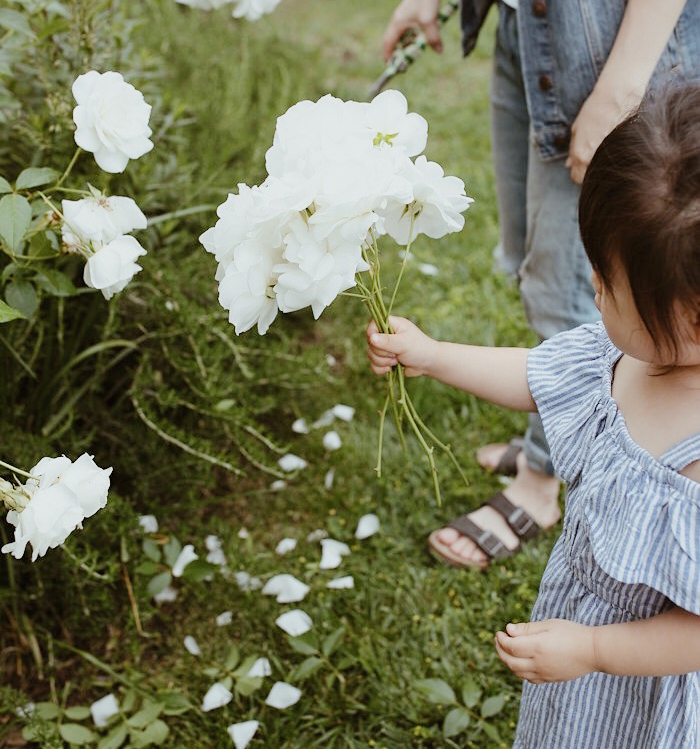 The best way I thought I could teach her was to allow her to pick flowers with me from our garden the proper way so we can enjoy them. When the flowers outside her room starting blooming, we decided to pick them out and put them into little vases. I told her how important it is to allow flowers to rest in “their flower bed” and let them grow without having any of their petals plucked. 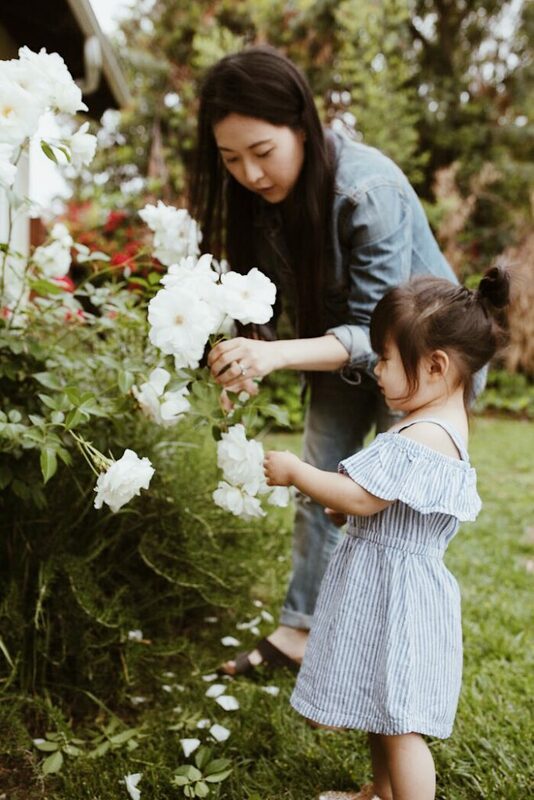 We did this once and have started making it a weekly tradition where we identify different flowers (including weeds haha) and place them into little vases. I think it’s been helping but she’s been asking for her own clippers now haha.